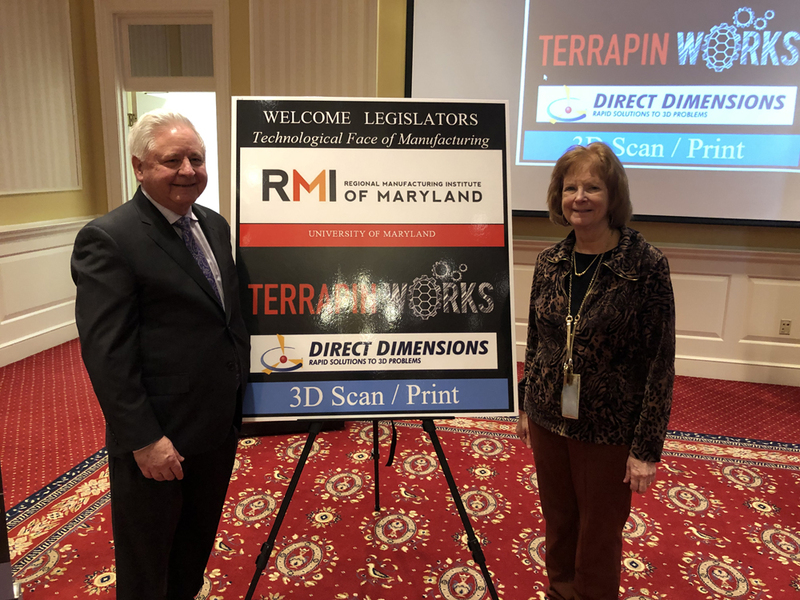 On February 5, RMI and its partners from Direct Dimensions and the University of Maryland’s Terrapin Works hosted a demonstration of 3D scanning, 3D printing and virtual reality technologies for Annapolis legislators at the Miller Senate Office Building. 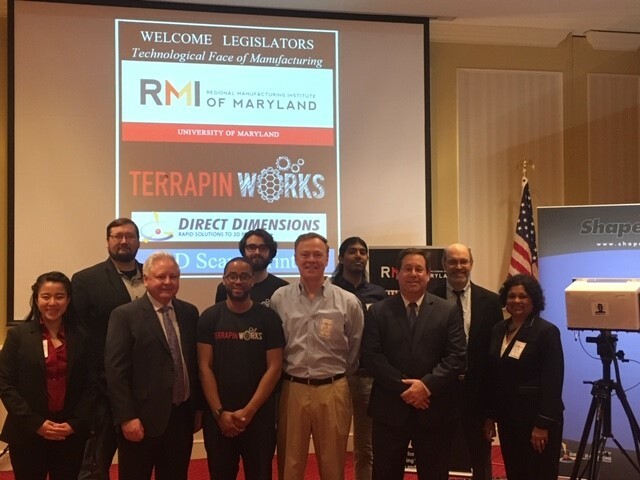 Legislators from Ann Arundel County, Baltimore County, Baltimore City, Caroline County, Carroll County, Cecil County, Charles County, Dorchester County, Frederick County, Harford County, Howard County, Montgomery County, Prince George’s County and Wicomico County stopped by to visit to get learn about new technologies being used in manufacturing and to get their heads 3D-scanned so that they can get a printed replica in the coming weeks. 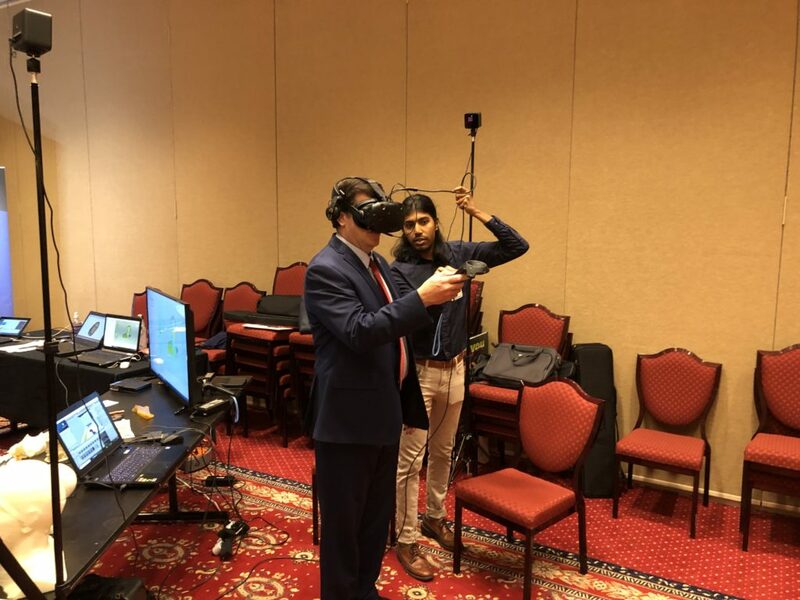 Adventurous legislators also donned the virtual reality headset to get a hands-on understanding of the capabilities of the technology that is widely embraced by today’s youth and is increasingly becoming relevant in manufacturing as well. 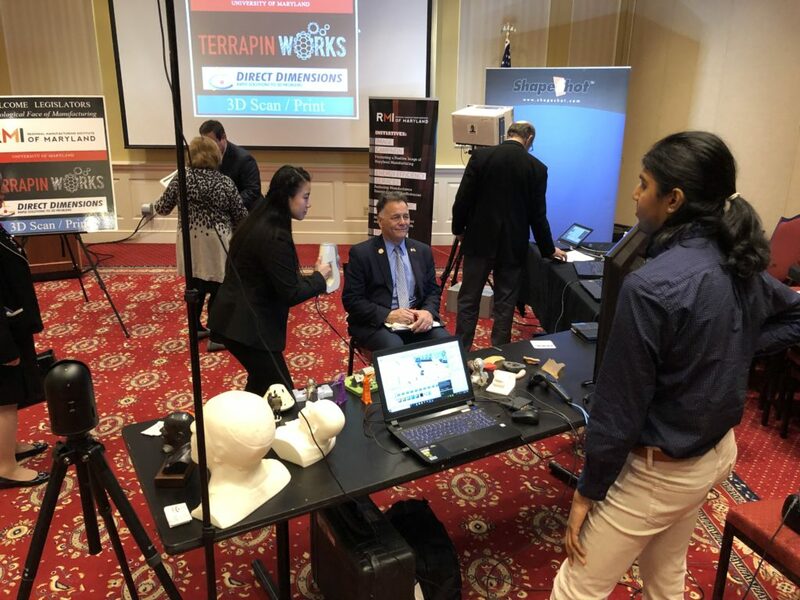 Legislators were able to not only see replicas of 3D-printed objects showcased by students and a faculty member from the University of Maryland’s Terrapins Works, but they were able to see how such replicas are printed in both plastic and resign forms. Legislators were clearly impressed by these new technologies and had plenty of questions about the various applications. They were also eager to learn more about RMI and the manufacturers that were in their districts. A special thanks to Senator Kathy Klausmeier and Delegate Ned Carey for arranging the opportunity for RMI to conduct this demonstration.